I pull into the driveway and I see my teenage girls taking out the trash. “Hmm… I wonder what they are up to.” Sticking my head out the window and with a half-smile, I say, “Hello Girls.” I’m ambushed with “THE HOUSE STINKS!” “It smells like (wait for it)…FARTS!” Ugh! I hate that word. The tween thinks it’s funny and says, “It smells like someone went around the house “passing gas”; she such a smart-aleck. Bewildered and exhausted, I ask, “Did you check all bathrooms?” In unison, they reply, “Yes!” Great, I have a sewer problem. “Did you check the trash?” Again, in unison, they respond, YES!” FABULOUS! I can’t stand my house smelling like grease, which is why I don’t fry chicken, Now, I have to deal with a “rotten smell.” (Shaking my head). I have a strong sense of smell and if my home stinks, I can not rest until I find the culprit. I walk into the front door and BAM!!! The smell of eggs or something spoiled smacks me in the face! My mind is racing. Have I cooked chicken lately and left the skin in the trash? No. I asked the girls if they cooked eggs, NO. It reminds me of the egg water my mother used to water her plants. Shoot! This is not how I want to spend my Friday evening. I start to blast out orders and go into REFRESH MODE! 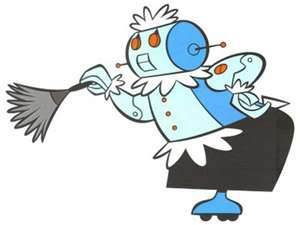 Girls take out the trash in all rooms; clean and refill the Damp Rid container in the basement; turn up all the plug-ins; light candles in every room; remove all shoes from front door basket; pour Clorox in every toilet and spray. The girls became quiet while I turn into a robotic clean machine. They knew to stay far far away. I roamed every room, sniffing for an odd smell, NADA! It took one hour and forty minutes took get my house back in order. Boy, do I need a glass of wine. (I know it took me a while to get this point; misery loves company;)) This has been a challenging day. I slug (legal hitchhiking-only in the Washington DC area) into work with a driver whose vehicle smelled of a severe body odor. Oh My Goodness, the funk was bad. I kept my mouth closed and hand over coffee cup, not wanting the funk to enter. I exit he car spraying myself with Victoria Secret, then coming home to funk (exhale). 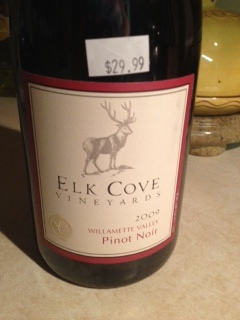 The first bottle my eyes spotted was a 2009 Elk Cove Pinot Noir – Willamette Valley, PERFECT! I pull out the cork and there some bleeding… NOoo! Feeling deflated, “Please let the wine be good.” I pour, light texture, soft aromas with a slight spicy nose. Sip, GOSH DANG IT, THE WINE IS CORK; $30 down the drain! This has been one FUNKY day! FUNKY COMMUTE, FUNKY HOUSE AND NOW FUNKY WINE! A day filled with F-U-N-K! I’m tired; I’m having a glass of tea. P.S. Feeling sorry for me, “The Professional” brought over his Elk Cove and it was delicious! Full cherry flavors and while it continued to breathe in the glass, the wine became smooth and soft on the palate. Very Nice! Feeling sorry had nothing to do with it. It was a great reason to try my bottle! !